Friday's attack was condemned by the UN Security Council, which called on the Malian government and other actors in the strife-riven country to identify those responsible and hold them to account. "We extend our deepest condolences to the loved ones of the blue helmets who tragically lost their lives this morning in Mali," Defence Department spokesman Daniel Le Bouthillier said in a statement. "Following a request for assistance, Canadian peacekeepers immediately launched aeromedical assets to provide advanced care to those injured in the attack." Mali remains the home of the most dangerous peacekeeping mission in the world, with Friday's deaths bringing the total number of fatalities since 2013 to 189. Many of those have been from developing countries in Africa and Asia. Two different groups, both linked to al-Qaida, have reportedly claimed responsibility for this week's attacks. Canada's year-long mission is scheduled to end in July, at which point the Canadians will pack up and start heading home. 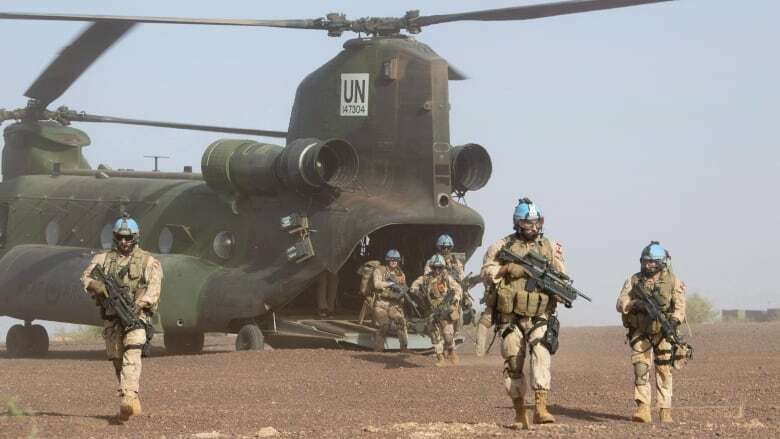 The UN would like Canada to stay until Romanian troops arrive in the fall but the government has rejected an extension.